i) Whether in a contract for rendering of service/use of site, a stipulation to pay an amount for the "lock-in‟ period, is an admitted debt within the meaning of Section 433(e) of the Companies Act, 1956 or whether the same is in the nature of damages? The present reference has been made as this Court has some doubts with regard to the judgment rendered by another learned Single Judge of this Court in Manju Bagai vs. Magpie Retail Ltd., 175 (2010) DLT 212. Accordingly, the present matter is referred to a Division Bench. Let the papers be placed before appropriate Division Bench on 1st December, 2011, subject to orders of Hon‟ble the Acting Chief Justice." 2. As this issue came up subsequently in other two petitions, they have also been referred to the Division Bench. That is how we have heard these matters. It would be pertinent to point out that at the time of hearing, the counsel for all the parties in all these petitions agreed that it is not only the question which is formulated to be answered, but on the basis of answer given to the aforesaid question and applicability thereof in each case, the company petitions themselves be decided on merits as it would be reflected in our discussion, answer to the question cannot be in vacuum and may vary depending upon the facts of each case. "10. ....The distinction between 'liquidated' and 'un- liquidated' damages is well settled. Mere use of the term 'liquidated' damages in a document cannot be the criteria to determine and decide whether the amount specified in the agreement is towards 'liquidated' damages or 'un-liquidated' damages. Amount specified in an agreement is liquidated damages; if the sum specified by the parties is a proper estimate of damages to be anticipated in the event of breach. It represents genuine covenanted pre-estimate of damages. On the other hand 'un-liquidated' damages or penalty is the amount stipulated in terrorem. The expression 'penalty' is an elastic term but means a sum of money which is promised to be paid but is manifestly intended to be in excess of the amount which would fully compensate the other party for the loss sustained in consequence of the breach. Whether a clause is a penalty clause or a clause for payment of liquidated damages has to be judged in the facts of the each case and in the background of the relevant factors which are case specific. Looking at the nature of the Clause and even the pleadings made by the petitioner, I am not inclined to accept the contention of the petitioner that Clause 5 imposes liquidated damages and is not a penalty clause. No facts and circumstances have been pleaded to show that Clause 5 relating to lock-in-period was a genuine pre-estimate of damages which by the petitioner would have suffered in case the respondent company had vacated the premises. No such special circumstances have been highlighted and pointed out. 11. The decision in the case of Food Corporation of India and Others (supra) is distinguishable. In the said case a civil suit was filed and there was evidence to show that the plaintiff therein had performed his part of the contract and altered his position, having constructed the plinths according to specifications of the defendant i.e. FCI. The defendant had promised to plaintiff that on completion of the construction, they would hire the premises for a period of three years but later on backed out. The trial court and the finding of the Supreme Court was that the construction was made in accordance with the design and specification prescribed by the defendant. Therefore, it was held that the defendant cannot back out from the promise held out and escape from the liability. 13. A person therefore, must take reasonable steps to minimize the loss and refrain from taking unreasonable steps which would increase the loss. Defence cannot be held liable to pay a loss which the claimant could have avoided or which arises due to the neglect and failure of the claimant to take such reasonable steps. Damages is compensation for the wrong suffered by the claimant and the loss incurred by him but this is subject to the rule that the claimant must take reasonable steps to avoid their avoidable accumulation. It is difficult to accept that the petitioner was unable to rent out the premises for the lock-in-period of three years despite the highly commercially viable location of the premises. Decline in the rate of rent is not pleaded. The onus in this regard is on the petitioner and no evidence and material has been placed on record to show that the premises could not be rented out. Even the date on which the premises was subsequently rented out has not been stated." (i) Whether a particular clause about pre-determined liquidated damages represents genuine covenanted pre-estimate of damages or it is in the nature of penalty has to be judged in the facts of each case and in the background of relevant factors which are case specific. In that case, no facts and circumstances were pleaded to show that clause relating to lock-in period was a genuine pre-estimate of damages which the petitioner would have suffered in case the respondent company vacated the premises before the expiry of lock- in period. (ii) In order to prove that amount mentioned as payable for the lock-in period is genuine pre-estimate of damages, proper evidence is required of specific nature, namely, the landlord had altered its position by making the premises available to the tenant keeping in view the tenants‟ requirements and spending thereupon. Certain expenditure was incurred on infrastructure specifically provided to the tenant as per tenant‟s requirements; certain other expenditure incurred on whitewashing, fixtures and fittings and the landlord was forced to incur such expenditure again before giving the premises to new tenant and, therefore, lock-in period was treated as reasonable period to avoid duplication of such expenditure, etc. (iii) The doctrine of mitigation of damages may also apply in such cases and even if the tenant had committed breach by leaving the premises before the expiry of lock-in period, it was for the landlord to prove that he had taken reasonable steps to minimize the loss, but could not award the loss to the extent mentioned in the clause and, therefore, the same is to be treated as genuine pre-estimation of the loss. On this reasoning, in that case, winding up petition was dismissed. 14. As pointed out above, in the reference order, the learned Company Judge has expressed some reservations about the aforesaid ratio from which we infer that the learned Company Judge has hinted that the amount of unexpired lock-in period can be treated as debt though no specific reasons are given in the reference order. 15. Before we give our final comments, we would like to traverse through the statutory provisions as well as some case law on the subject cited before us during the arguments by counsel for the parties. 16. Consequences for breach of the contract are provided in Chapter VI of the Contract Act which contains three sections, namely, Section 73 to Section 75. As per Section 73 of the Contract Act, the party who suffers by the breach of contract is entitled to receive from the defaulting party, compensation for any loss or damage caused to him by such breach, which naturally arose in usual course of things from such breach, or which the two parties knew when they make the contract to be likely the result of the breach of contract. This provision makes it clear that such compensation is not to be given for any remote or indirect loss or damage sustained by reason of the breach. The underlying principle enshrined in this Section is that a mere breach of contract by a defaulting party would not entitle other side to claim damages unless the said party has in fact suffered damages because of such breach. Loss or damage which is actually suffered as a result of breach has to be proved and the plaintiff is to be compensated to the extent of actual loss or damage suffered. When there is a breach of contract, the party who commits the breach does not eo instant i.e. at the instant incur any pecuniary obligation, nor does the party complaining of the breach becomes entitled to a debt due from the other party. The only right which the party aggrieved by the breach of the contract has is the right to sue for damages. No pecuniary liability thus arises till the Court has determined that the party complaining of the breach is entitled to damages. The Court in the first place must decide that the defendant is liable and then it should proceed to assess what the liability is. But, till that determination, there is no liability at all upon the defendant. Courts will give damages for breach of contract only by way of compensation for loss suffered and not by way of punishment. The rule applicable for determining the amount of damages for the breach of contract to perform a specified work is that the damages are to be „assessed at the pecuniary amount of difference between the state of the plaintiff upon the breach of the contract and what it would have been if the contract had been performed and not the sum which it would cost to perform the contract, though in particular cases the result of either mode of calculation may be the same. The measure of compensation depends upon the circumstances of the case. The complained loss or claimed damage must be fairly attributed to the breach as a natural result or consequence of the same. The loss must be a real loss or actual damage and not merely a probable or a possible one. When it is not possible to calculate accurately or in a reasonable manner, the actual amount of loss incurred or when the plaintiff has not been able to prove the actual loss suffered, he will be, all the same, entitled to recover nominal damages for breach of contract. Where nominal damages only are to be awarded, the extent of the same should be estimated with reference to the facts and circumstances involved. The general principle to be borne in mind is that the injured party may be put in the same position as that he would have been if he had not sustained the wrong. 17. In Murlidhar Chiranjilal v. Harishchandra Dwarkadas and Anr., AIR 1962 SC 366, the Supreme Court highlighted two principles which follow from the reading of Section 73 of the Contract Act. The first principle on which damages in cases of breach of contract are calculated is that, as far as possible, he who has proved a breach of a bargain to supply what he contracted to get is to be placed, as far as money can do it, in as good a situation as if the contract had been performed; but this principle is qualified by a second, which imposes on a plaintiff the duty of taking all reasonable steps to mitigate the loss consequent on the breach and debars him from claiming any part of the damages which is due to his neglect to take such steps. 18. Thus, while on one hand, damages as a result of breach are to be proved to claim the same from the person who has broken the contract and actual loss suffered can be claimed, on the other hand, Section 74 of the Act entitles a party to claim reasonable compensation from the party who has broken the contract which compensation can be pre-determined compensation stipulated at the time of entering into the contract itself. Thus, this section provides for pre-estimate of the damage or loss which a party is likely to suffer if the other party breaks the contract entered into between the two of them. If the sum named in the contract is found to be reasonable compensation, the party is entitled to receive that sum from the party who has broken the contract. Interpreting this provision, the Courts have held that such liquidated damages must be the result of a "genuine pre-estimate of damages". If they are penal in nature, then a penal stipulation cannot be enforced, that is, it should not be a sum fixed in terrarium or interrarium. This action, therefore, merely dispenses with proof of "actual loss or damage". However, it does not justify the award of compensation when in consequence of breach, no legal injury at all has resulted, because compensation for breach of contract can be awarded to make good loss or damage which naturally arose in the usual course of things, or which the parties knew when they made the contract, to be likely to result from the breach. In my opinion it would not be true to say that a person who commits a breach of the contract incurs any pecuniary liability, nor would it be true to say that the other party to the contract who complains of the breach has any amount due to him from the other party. As already stated, the only right which he has is the right to go to a Court of law and recover damages. Now, damages are the compensation which a Court of law gives to a party for the injury which he has sustained. But, and this is most important to note, he does not get damages or compensation by reason of any existing obligation on the part of the person who has committed the breach. He gets compensation as a result of the fiat of the Court. Therefore, no pecuniary liability arises till the Court has determined that the party complaining of the breach is entitled to damages. Therefore, when damages are assessed, it would not be true to say that what the Court is doing is ascertaining a pecuniary liability which already existed. The Court in the first place must decide that the defendant is liable and then it proceeds to assess what that liability is. But till that determination there is no liability at all upon the defendant. This statement in our view represents the correct legal position and has our full concurrence. A claim for damages for breach of contract is, therefore, not a claim for a sum presently due and payable and the purchaser is not entitled, in exercise of the right conferred upon it under Clause 18, to recover the amount of such claim by appropriating other sums due to the contractor. On this view, it is not necessary for us to consider the other contention raised on behalf of the respondent, namely, that on a proper construction of Clause 18, the purchaser is entitled to exercise the right conferred under that clause only where the claim for payment of a sum of money is either admitted by the contractor, or in case of dispute, adjudicated upon by a court or other adjudicatory authority. We must, therefore, hold that the appellant had no right or authority under Clause 18 to appropriate the amount of other pending bills of the respondent in or towards satisfaction of its claim for damages against the respondent and the learned Judge was justified in issuing an interim injunction restraining the appellant from doing so. 20. In that case, Clause 18 of the contract entered into between the parties provide that whenever any claim for the payment of a sum of money arises out of or under the contract against the contractor, the purchaser shall be entitled to recover such sum by appropriating in whole or in part, the security, if any, deposited by the contractor. The purchaser/Union of India, invoking this clause, wanted to recover and adjust liquidated damages in terms of clause 14 of the contract. As is seen from the aforesaid extracted portion, the Court held that a claim for liquidated damages does not give rise to a debt until the liability is adjudicated and damages assessed by a decree or order of a Court or other adjudicatory authority. When there is such a clause, the only right which the plaintiff has is the right to go to Court and recover damages. Standing alone, the word 'debt' is as applicable to a sum of money which has been promised at a future day as to a sum now due and payable. If we wish to distinguish between the two, we say of the former that it is a debt owing, and of the latter that it is debt due." "Under Section 73, when a contract has been broken, the party who suffers by such breach is entitled to receive compensation for any loss caused to him which the parties knew when they made the contract to be likely to result from the breach of it. This Section is to be read with Section 74, which deals with penalty stipulated in the contract, inter alia [relevant for the present case] provides that when a contract has been broken, if a sum is named in the contract as the amount to be paid in case of such breach, the party complaining of breach is entitled, whether or not actual loss is proved to have been caused, thereby to receive from the party who has broken the contract reasonable compensation not exceeding the amount so named. Section 74 emphasizes that in case of breach of contract, the party complaining of the breach is entitled to receive reasonable compensation whether or not actual loss is proved to have been caused by such breach. therefore, the emphasis is on reasonable compensation. If the compensation named in the contract is by way of penalty, consideration would be different and the party is only entitled to reasonable compensation for the loss suffered. 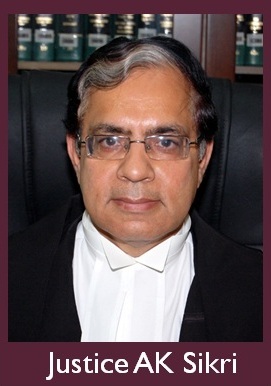 But if the compensation named in the contract for such breach is genuine pre-estimate of loss which the parties knew when they made the contract to be likely to result from the breach of it, there is no question of proving such loss or such party is not required to lead evidence to prove actual loss suffered by him. Burden is on the other party to lead evidence for proving that no loss is likely to occur by such breach..."
"a debt is a sum of money which is now payable or will become payable in further by reason of a present obligation : debitum in presenti, solvendum in future." The said decisions also accept the legal position that a liability depending upon a contingency is not a debt in presenti or in future till the contingency happened. But if there is a debt the fact that the amount is to be ascertained does not make it any the less a debt if the liability is certain and what remains is only the quantification of the amount." 24. What follows from the above is that even if there is a clause of liquidated damages, in a given case, it is for the Court to determine as to whether it represents genuine pre-estimate of damages. In that eventuality, this provision only dispenses with the proof of "actual loss or damage". However, the person claiming the liquidated damages is still to prove that the legal injury resulted because of breach and he suffered some loss. In the process, he may also be called upon to show that he took all reasonable steps to mitigate the loss. It is only after proper enquiry into these aspects that the Court in a given case would rule as to whether liquidated damages as prescribed in the contract are to be awarded or not. Even if there is a stipulation by way of liquidated damages, a party complaining of breach of contract can recover only reasonable compensation for the injury sustained by him and what is stipulated in the contract is the outer limit beyond which he cannot claim. Unless this kind of determination is done by the Court, it does not result into "debt". (i) A "Debt" is a sum of money which is now payable or will become payable in future by reason of a present obligation. The existing obligation to pay a sum of money is the sine qua non of a debt. "Damages" is money claimed by, or ordered to be paid to; a person as compensation for loss or injury. It merely remains a claim till adjudication by a court and becomes a "debt" when a court awards it. (ii) In regard to a claim for damages (whether liquidated or unliquidated), there is no "existing obligation" to pay any amount. No pecuniary liability in regard to a claim for damages, arises till a court adjudicates upon the claim for damages and holds that the defendant has committed breach and has incurred a liability to compensate the plaintiff for the loss and then assesses the quantum of such liability. An alleged default or breach gives rise only to a right to sue for damages and not to claim any "debt". A claim for damages becomes a "debt due", not when the loss is quantified by the party complaining of breach, but when a competent court holds on enquiry, that the person against whom the claim for damages is made, has committed breach and incurred a pecuniary liability towards the party complaining of breach and assesses the quantum of loss and awards damages. Damages are payable on account of a fiat of the court and not on account of quantification by the person alleging breach. (iii) When the contract does not stipulate the quantum of damages, the court will assess and award compensation in accordance with the principles laid down in Section 73. Where the contract stipulates the quantum of damages or amounts to be recovered as damages, then the party complaining of breach can recover reasonable compensation, the stipulated amount being merely the outside limit. (v) Even if the loss is ascertainable and the amount claimed as damages has been calculated and ascertained in the manner stipulated in the contract, by the party claiming damages, that will not convert a claim for damages into a claim for an ascertained sum due. Liability to pay damages arises only when a party is found to have committed breach. Ascertainment of the amount awardable as damages is only consequential." 26. Reading of the aforesaid judgments and the ratio laid down therein would amply demonstrate that the legal position propounded by learned Single Judge in Manju Bagai (supra) is the correct legal position of law and we agree with the same. We now proceed to apply this legal principle to each of the cases before us. Very enlightening article. Very clear analysis of various high courts and that of the supreme court on the subject of Debt, liquidated damages and unliquidated damages. Good points you have in there. Good blog. gives fair idea about the law. The writing style is superior and the content is relevant. Thanks for the insight you provide the readers! No pecuniary liability thus arises till the Court has determined that the party complaining of the breach is entitled to damages. Thank you for your blog post.I admire the valuable information you offer in your articles. Thanks for posting it, again! Really looking forward to read more.